As they prepare for their final gubernatorial debate Thursday night, incumbent Republican Gov. 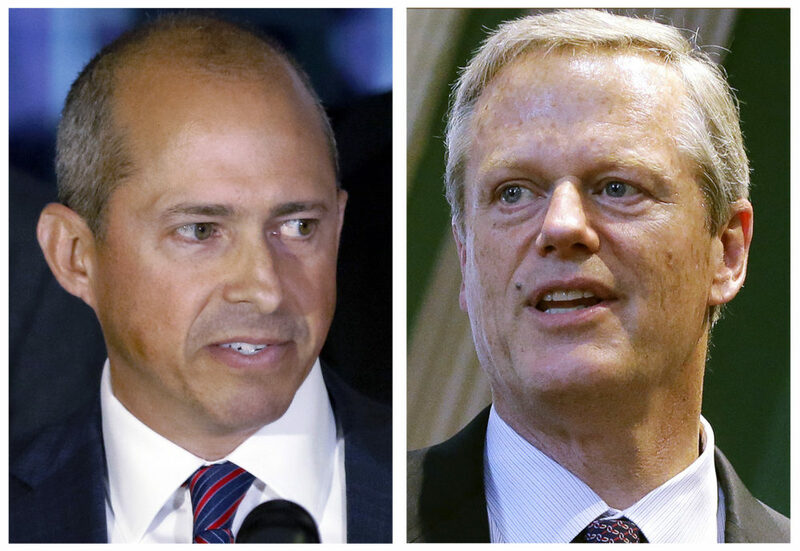 Charlie Baker continues to hold a sizable lead over Democratic challenger Jay Gonzalez. A new WBUR poll (topline results, crosstabs) looking at the race finds Baker remains popular among Republicans and Democrats. When we asked 502 likely voters this past weekend who they intend to vote for, 68 percent said they're going with Baker, and that includes many Democrats, like Lisa Ward of Cambridge. "I think that Charlie's put in a lot of work and he's done a lot of things within the community on a one on one basis not just for publicity that a lot of people don't know about," Ward said. "He's just a caring guy." Forty-eight percent of Democrats polled say they'll vote for Baker, compared with 45 percent for Gonzalez. Overall, only 25 percent say they're backing Gonzalez, who has had a hard time boosting his name recognition. The poll shows the needle hasn't moved much in this race. Baker, with his high favorability ratings and huge campaign war chest, got out to an early lead and has hardly looked back. "We've been polling this race for just about a year now, and we're roughly in the same ballpark that we have been," said MassINC pollster Steve Koczela, who conducted the survey for WBUR. 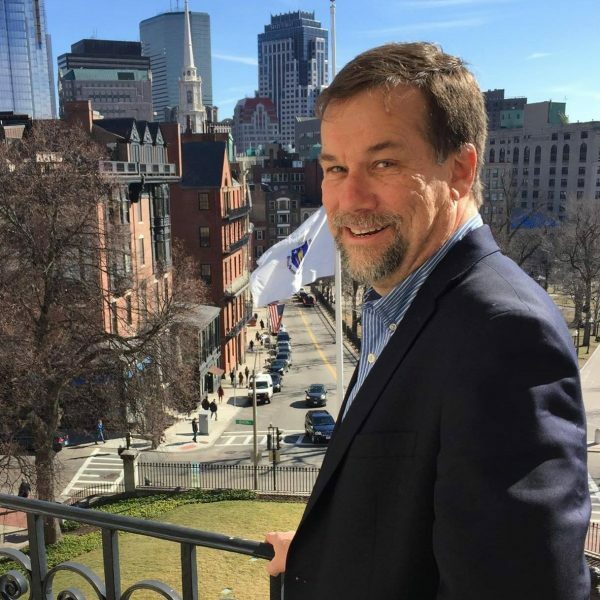 "People's numbers have gone up a few points here and there, but overall we've had Charlie Baker with that very healthy lead going all the way back to November of 2017. And that's where we are today." Voters seem to like the job Baker is doing, as 71 percent of those polled say they have a favorable opinion of him. Nearly a third of voters have never even heard of Gonzalez. Most voters have already made up their mind on this race, with only 2 percent of those polled saying they remain undecided, and that, according to Koczela, is bad news for Gonzalez. "This is not one where you can just look at the undecideds and add them to the person who's behind and say, 'OK, well they can catch up if they just convert those,' " he said. "There would have to be something very significant that happened that would change a lot of people's minds when you're that far behind." Since becoming the party's nominee, Gonzalez has been banking on voters agreeing with him that the wealthy must pay more in taxes. His major revenue proposal calls for imposing a tax on private college endowments worth over $1 billion, with the proceeds going to fund public transportation and education. Forty-four percent of those polled say they support the plan, including unenrolled voter Crystal Dennis of Brockton, who is voting for Gonzalez. "We do have a lot of high-earning schools that don't pay taxes at all," Dennis said. "I think that ... they should have to pay at least a little bit." But nearly the same number of voters — 42 percent — say they oppose the endowment tax plan, and most of those voters will back Baker. While nationally the 2018 midterm elections are extremely partisan, a third of voters in Massachusetts have no problem splitting their ballot between Democrat Elizabeth Warren in the U.S. Senate race and Republican Baker for governor. Unenrolled voter Scott Walker of East Bridgewater is voting for both Warren and Baker, regardless of their political affiliation. He sees the same bipartisanship in Baker. "I don't like when people are strictly partisan," Walker said. "Sometimes you just think of an issue as an issue and not what the party line is. And I feel like [Baker] tries to represent the state pretty well regardless of Republican or Democrat. I think he's a person of good character." Voters who haven't cast their ballots yet have less than a week to reconsider, but polling trends indicate that's not likely. 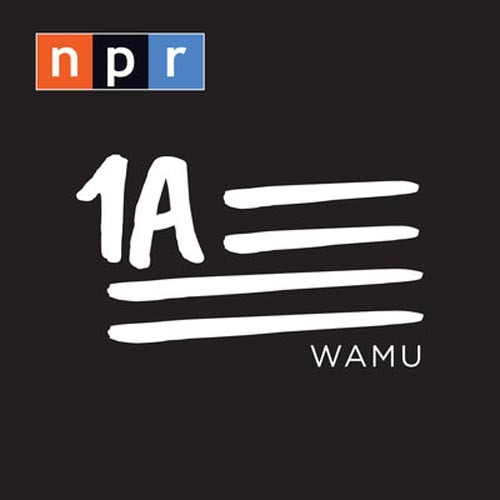 The WBUR poll, a live telephone survey, has a margin of error of 4.4 percent. WBUR will broadcast the governor's debate on-air and online at 7 p.m. Thursday. This segment aired on November 1, 2018.